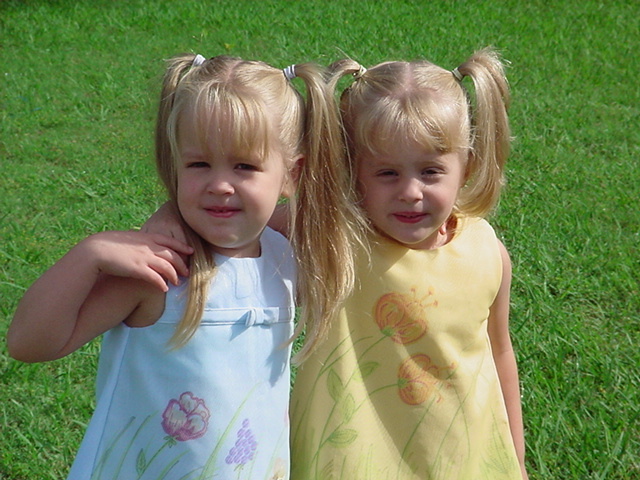 I ran across a picture of my twin granddaughters when they were young. Reminded me of a lesson they taught me. After a spring shower, the little girls played in the wet grass in my backyard. They laughed with joy at going barefoot in the mud and ran in circles. Suddenly, one twin came up to me. Big tears streamed down her face. She pointed to her grimy foot and said, “Boo-boo. Kiss it.” For a child in our family, kissing a hurt always makes it feel better. I examined the tiny toes but they did not seem injured. “No, it’s okay,” I said not wanting to kiss such a muddy foot. She pleaded. “Boo-boo. Kiss it, Grandma.” I swallowed hard and leaned toward her foot but the top of her sister’s blond head got in my way. The other twin knelt on the ground, kissing the dirty toe. She had overheard her sister’s request and took immediate action. Then her dirt-covered face looked up at me. She smiled and they ran off together holding hands. The girls taught me a lesson that day in responsiveness. When I become aware of other’s needs, I should be more like a child, not concerned about the consequences or convenience of helping someone, but eager and quick to give assistance. One small action or word may be all that’s needed to make someone feel better. Lord, teach me to recognize others’ needs and respond as quickly as my granddaughter – without hesitation.